If your trying to inject a sense of pace to your tracks, adding in some shuffling hi-hats, tambourines or shakers could be the way to go. There are many ways to achieve this but, in this tutorial, we are going to be using a delay unit - specifically Ableton Live’s filter delay which gives you the ability to have 3 delay channels. Feel free to set up your Hi-Hat of choice in your samplers/drum machine of choice. In this example, we will be using one simpler with a closed 909 hi-hat. Set up a midi clip with an offbeat hi-hat pattern. With the hi-hat ready, load in the filter delay. Rather than L, L+R and R, think of it like 'delay 1, 2, 3'. Start by pushing the dry up to its full value. From there switch off delay 2, 3 (L+R, R). This will allow us to focus just on 1 delay at a time. Move to delay 1 (L), switch off the filter section, change the sync time to 1 (which gives us a 16th note), then pull the feedback and level back so it's not so prominent. It may be also good to take the pan to closer to the centre. Now, let's add in some extra shuffle, start by switching on delay 2 (L+R), change the sync time to 2 which is the 8th note. Set the feedback to around 15% and level to around -25dB. It’s time for the last delay, delay 3 (R). Switch the sync time to 3, which is a dotted 8th. Set the feedback to around 10% and level to -17dB. This has given us a great shuffling hi-hat, we now group this into an audio rack and add some macros to adapt on a track by track basis. Start by mapping the delay levels to macro 1, 2, 3. From time to time it's cool to use the filter on the delay unit, so map the on/off button to macro 4. Now we have a delay audio rack set up we can add this to any sound we wish to add pace and shuffle to (and being able to control each level helps adapt the delay on a song by song basis). 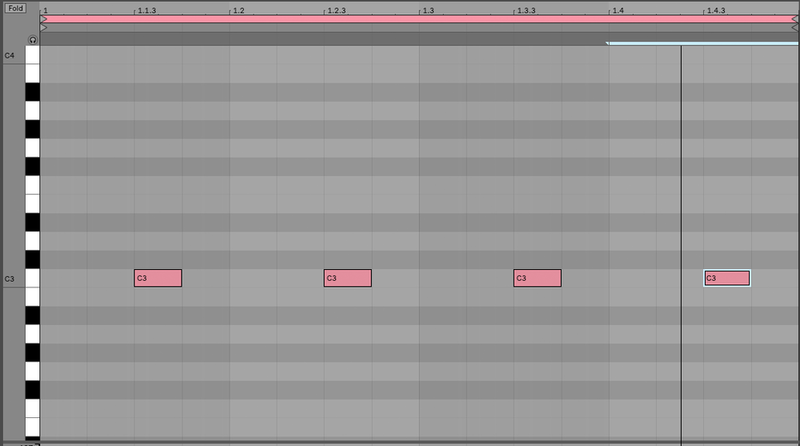 Stay tuned for our next venture into Ableton Live’s many tricks and tips.